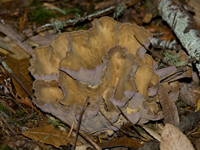 Mendocino Mushroom Madness is upon us! 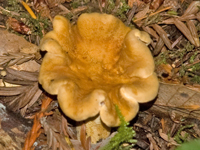 November is just about here, and the Mendocino Mushroom Madness events are about to start. 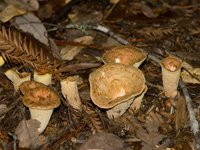 More importantly, the mushrooms themselves are off to a great start — check out the latest forecast from local mushroom expert Eric Schramm). 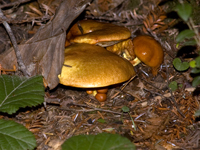 We took Peet and Gilmour out for a walk on Sunday in the Jackson Forest, and saw mushrooms everywhere. I don’t know how to identify them, so I just take pictures and move on. 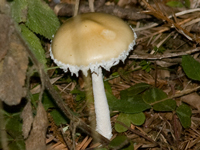 There are some mushroom identification walks at the Botanical Gardens in December and January if you want to know more. 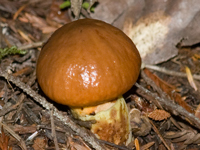 Pretty much anyplace you take a walk or hike now, you will see mushrooms. Now we’re also starting to see vehicles parked along the roads where people go out to gather mushrooms. It’s time! Robert Goleman, accompanied by Barbara Faulkner: Robert has a most amazing and beautiful tenor voice. I sang in the chorus last year in a Gilbert & Sullivan musical, and Robert blew everyone away as the male lead! Barbara is an excellent pianist, and she also sings with the AcaBellas. The AcaFellas, a male vocal group — I sing with them. We’ll also be joined by a group of ladies, the AcaBellas. Gloriana Musical Theatre: the Gloriana folks will be performing recent and classic show tunes. Other acts include tribal belly dancing, juggling, magic, traditional West African dances, fire dancers, and others. Tickets are $15 for adults, and less for seniors and children. Come support the local arts! Living in a small town in wonderful, but it always hits home for me around holidays – any holiday. Around here, we celebrate them all. Just around the corner is Halloween, and if asked, I say that it’s really a holiday for the kids. But in all honesty, I’ve still have fun with the pumpkin carving, haunted houses, and creepy costumes. There’s nothing like a neighborhood event to bring you back to your youth! Gallery Bookshop has a jump on the festivities with their book signing on Sunday, October 28, with Alethea Easton, “Hungry.” 3:00 p.m. 707-937-2665. The Westport Volunteer Fire Department is hosting an Oktobeer Fest – starts at noon on Saturday on the Westport Headlands. Food, fun and, of course, beer! You can finish up the holiday weekend with The Day of the Dead at Little River Inn. Events begin November 1. We don’t get to relive our childhood often, so don’t miss out on the fun! Clare Barca asked me to photograph the dress rehearsal of Marriage of Figaro this evening. I did and what a glorious evening, having nine of the best voices I have ever heard serenading me and a handful of other people. You know I love to support the artistic community. Well, this group of singers, all young, brought in by Clare’s Mendocino Opera Fresca are just not to be missed. They will be performing at Preston Hall in Mendocino on Saturday evening at 7:30pm and Sunday afternoon at 3:00pm. Tickets are $25, and I assure you it is worth it. 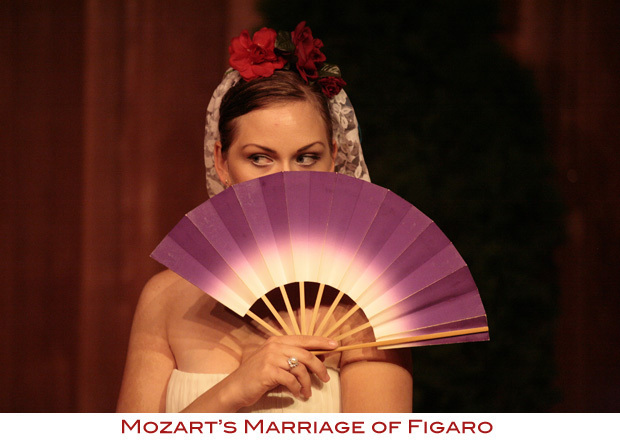 Marriage of Figaro is very listenable. Mozart has a great feel for beautiful music. You will surely recognize many, if not all, the arias. I already said so, but I am willing to bet this is the best ensemble of operatic voices the North Coast has ever heard. Enough of my gushing. Hope I see you there Saturday evening. 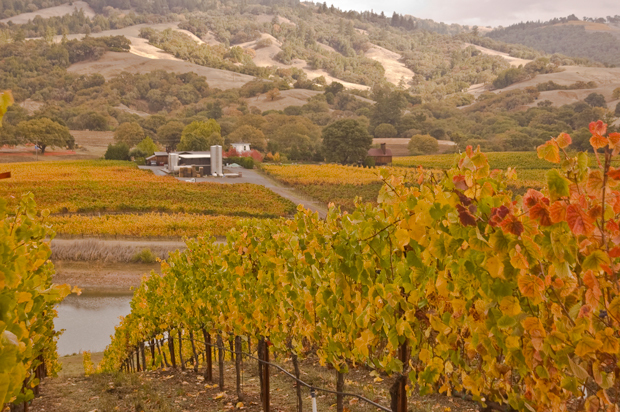 If you’re driving on Highway 128 through the Anderson Valley on your way to or from Mendocino this weekend, plan on taking some time to stop at some of the many tasting rooms to enjoy the fall foliage in the vineyards. 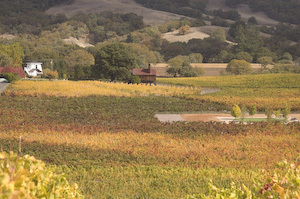 Bob Nye, Operations Manager at Goldeneye Winery, called me the other day to remind me about coming down to see the fall colors on the grapevines, so I made it down on Wednesday. 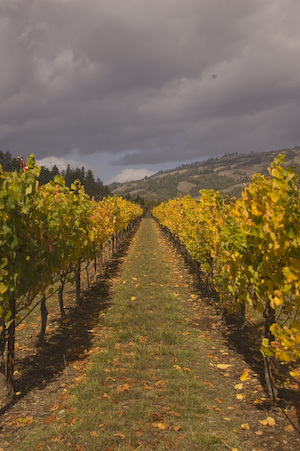 Although the weather guys had predicted showers that day, it turned into a warm day with clouds racing through — perfect for walking through the vineyard. I’ve always admired the colors on the vine-covered hills, but this is the first time I’ve had the chance to walk through the middle of it. As you can see, the colors ranged from green to yellow to orange to deep red from one plant to the next, making for swaths of color below the hill. You can still find the occasional bunch of grapes that was missed in the picking. These were pinot noir grapes, and while the resulting pinot is excellent, they weren’t particularly tasty in the raw. 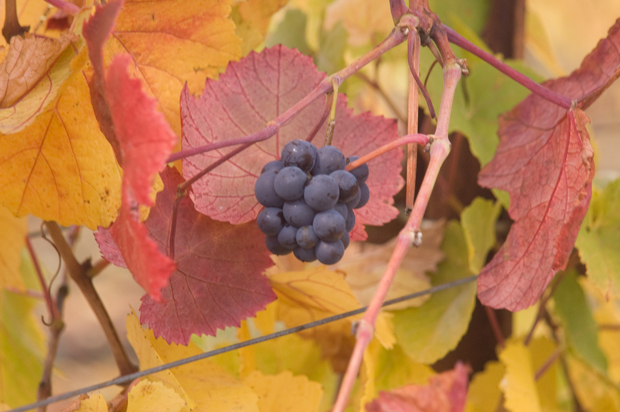 I love the deep almost-indigo blue in contrast to the wild yellows and reds around the grapes. The Goldeneye tasting room is a charming building nestled between several restored apple-drying sheds. They host group events on the patio outside, with its barbecue grill and Dutch oven and fabulous view. Out in the middle of the vineyard on a manicured path, they’ve placed a pavilion with picnic tables. What a spectacular place to enjoy a picnic or some cheese with a fine wine!